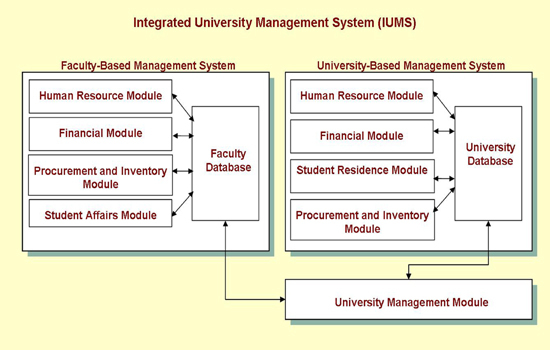 The idea of Integrated University Management System Project (IUMS) is gestated under the umbrella of the Egyptian electronic government intuitive with the aim of developing all management systems in Egypt. IUMS is funded by Higher Education Enhancement Project Fund (HEEPF). 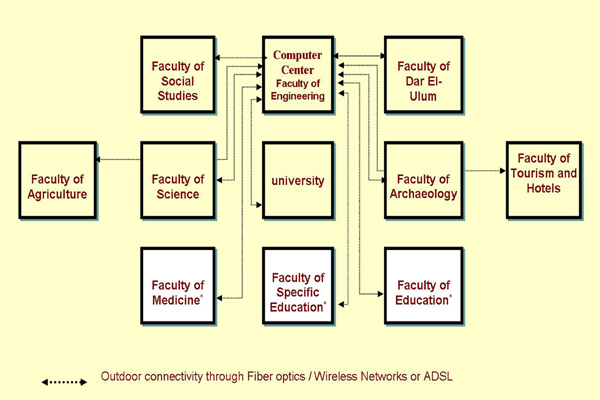 Integration with Information and Communications Technology Project ICTP at the University has been done to maximize the benefits for the good of the University.